Disclaimer: All opinions in this book review are entirely my own. I have not been compensated for this review; however, Dover Publications did send me a free copy to make an honest review. Please note that this giveaway is open to U.S. and Canadian residents only. The giveaway is open from Wednesday Feb. 22 to March 22, and one lucky winner will be chosen. Entry form is at the bottom of this post. In addition to the giveaway, you also have the opportunity to get a 25% discount on all Dover books with coupon code WRBB. Click here to visit their online bookstore. The beauty of this book is that it is written with both the beginner and experienced crocheters in mind. It has an entire chapter dedicated to techniques, yarn and hook sizes. 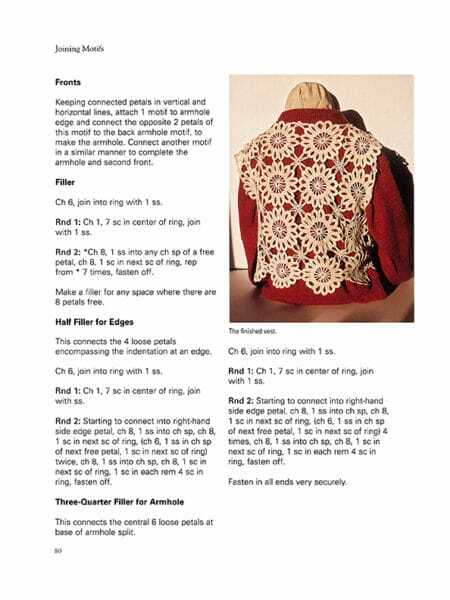 It has step by step illustrations of the basic crochet stitches, a crochet hook conversion chart, and a list of abbreviations just to name a few. And throughout the book you will find many tips and tricks for the beginner as well as for the experienced crocheter. 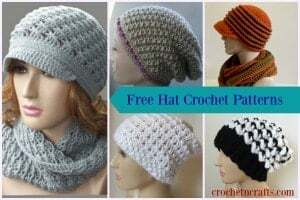 You’ll also find many patterns designed for both beginners and experienced crocheters. 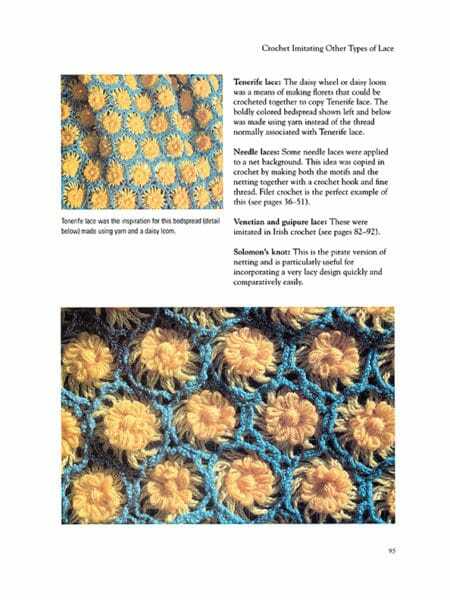 The book covers different kinds of crochet such as filet and Irish crochet. You’ll find various patterns for motifs, and how to join them together. 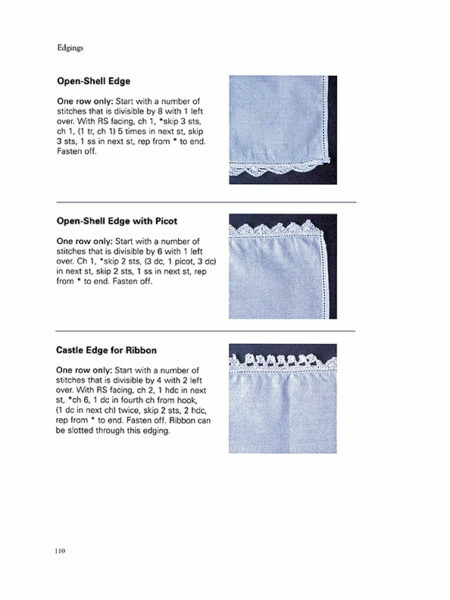 Lastly, you’ll also find lovely edging patterns that can be used for all your household linens from the kitchen to the bedroom. I’ve always been fascinated by all the wonderful lace that can be created with crocheting. Therefore, I found the book to be inspiring, especially the filet and motif sections. Below is an example of a filet rose edging. 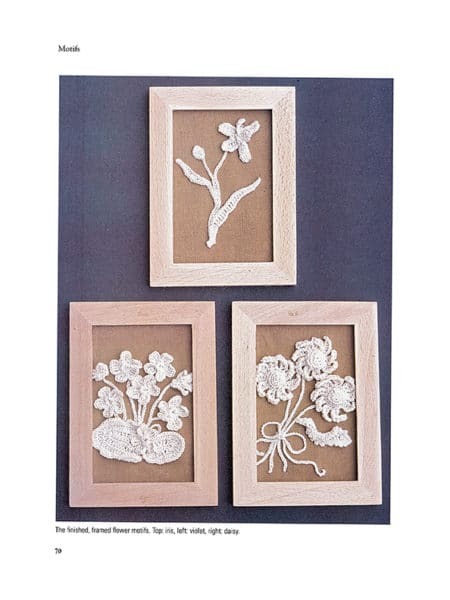 I love the idea of taking flower motifs and arranging them into neat picture frames. Here is a vest that is joined together with pretty motifs. 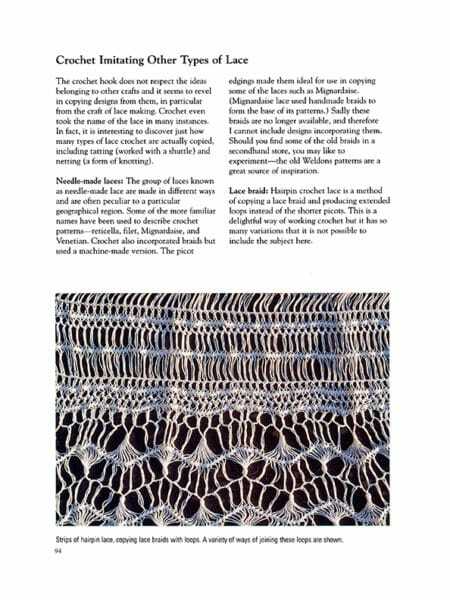 On page 94 you’ll see some interesting types of lace that can be created with crochet. Although there is no pattern for the beautiful work that is pictured below, it does provide a short list of the techniques used. You’ll also find instructions on how to crochet the Solomon’s knot, a pattern for a crocheted tatted edging and a few Honiton lace motifs. 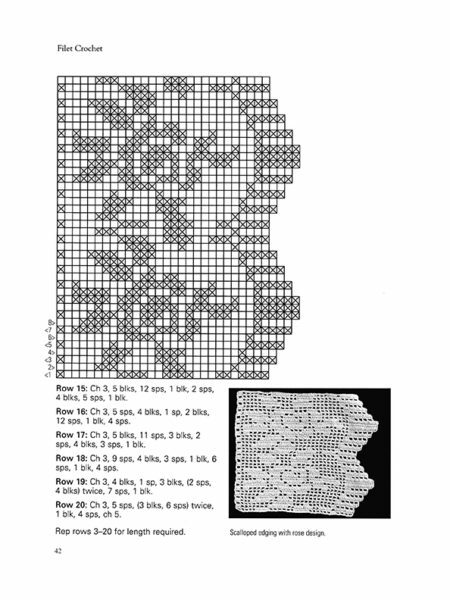 Shown below is an example of Tenerife lace. And then we have some pretty edging patterns for your household linens. Among them is a fan-stitch, a braided panel edge, a cute tank top edging and more. The final chapter is full of tips for finishing your work such as pressing and lining your work. The giveaway runs from Feb 22 till March 22 11:59pm EST. After that one lucky winner will be chosen. To enter simply visit Dover Publications by clicking the links in the entry form. Then come back and click the “I Visited” or “Enter” button to submit your entry. 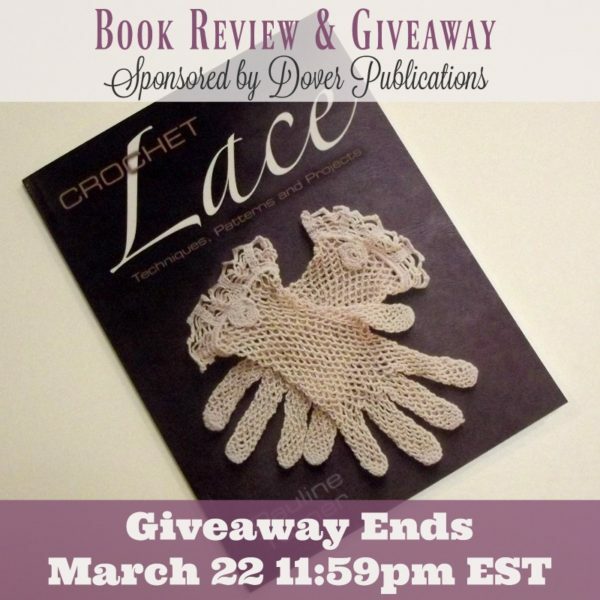 “Crochet Lace” looks like a really good book. Thanks for the review.